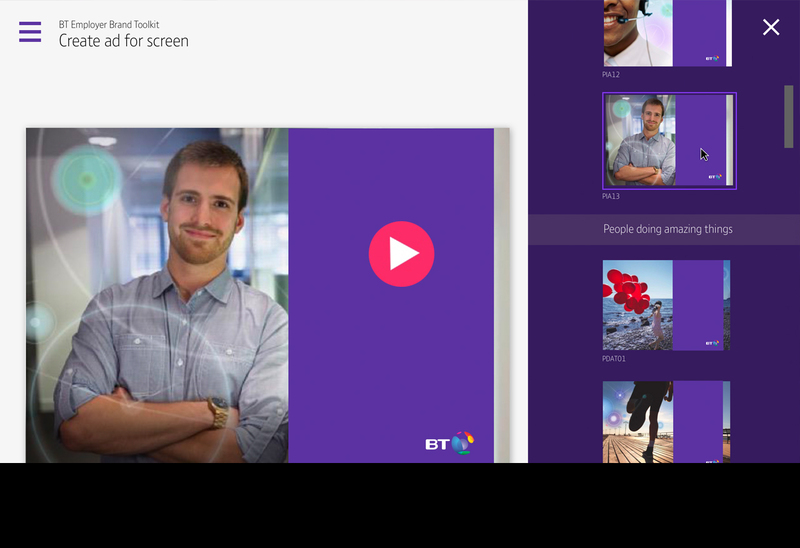 We worked with BT Group to develop a sound and positive employer brand articulated through powerful and evocative copy and arresting images to improve candidate quality and interest; and in turn lead to a more engaged workforce. To make sure that BT really did benefit from these new developments and the employer brand got the best start in life, we needed to make sure it was applied accurately and consistently across BT and their external recruitment agencies. We designed and built an online employer brand toolkit to guide the user through a series of simple steps to deliver consistent and engaging recruitment materials for internal communications and external campaigns. Anybody from across the business can log in and create beautiful employer brand communications without any design skills necessary. The toolkit is still in its very early stages in terms of rollout, but the feedback and results so far are looking very promising.